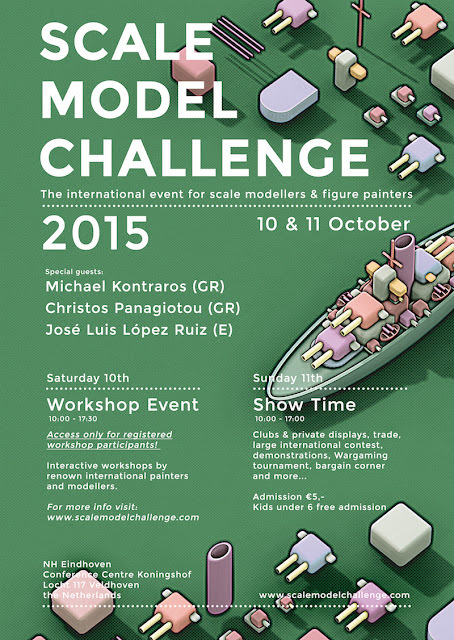 MASSIVE VOODOO: Scale Model Challenge ahead! While the rest of the Massive Voodoo jungle is busy building Painter's Paradise or being awesome at their jobs, I am heading to the Netherlands to visit the fantastic Scale Model Challenge. As always I try to take some cool photos to capture the feeling of this huge show. Are you coming, too? If so you might have a chance winning one of the Massive Voodoo creativity medals. There are 3 Kommentare for Scale Model Challenge ahead! We are here already. We wait for you and have many beers!